"Providing safe, reliable, rapid public transportation, via funicular railway, since 1877 May 20, for the residents and businesses of the Duquesne Heights and Mount Washington sections of the City of Pittsburgh. Utilizing two original, 1877 cable cars, the Duquesne Incline is a working museum. The Upper Station, on Grandview Avenue, includes a new platform for the public to view the Incline's historic hoisting equipment, as well as displays regarding the history of the Incline and the City of Pittsburgh, and pictures of other cable and rail cars from around the world." Inside the Duquesne Incline Cable Car! "Additionally, the spacious Observation Deck overlooks the beautiful Golden Triangle of Downtown Pittsburgh, and surrounding area including the upper Ohio River valley and lower Allegheny River Valley, ranked the second most beautiful view in America by USA Weekend Magazine !. Constructed, owned, and operated by The Duquesne Incline Plane Company from 1877 to 1964. 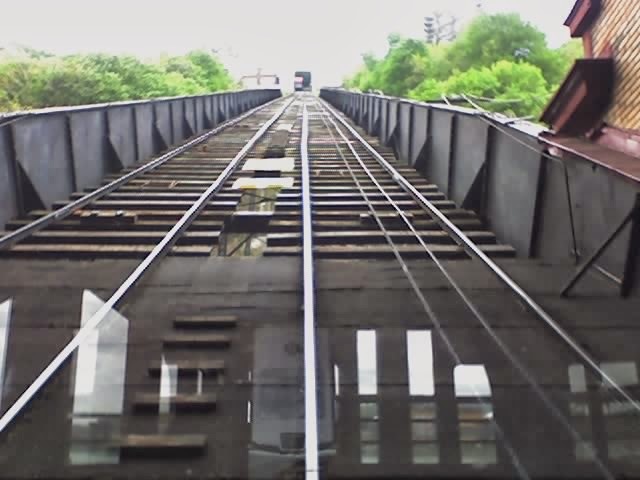 Since 1964, operated by the non-profit Society for the Preservation of the Duquesne Heights Incline." This is one of our favorite buffet restaurant when we go for a road trip in Pittsburgh.